Planning your wedding day can take a lot of time, effort and money. It’s one of the most important days in your life, yet the planning of it can be overwhelming. With so many aspects of the day to organise and plan it’s easy to become stressed out. You understandably want to make every detail perfect. So is it possible not be stressed out with wedding planning? Here are some top tips to help you handle the planning of your big day with ease. If the task of planning your wedding seems like a daunting task, why not hire a wedding planner. It’s their job to handle the finer details of your big day and their expertise should aid you in creating exactly what you desire. You will need to have a thorough consultation with your planner. This will involve particular colours you like or potential venues ideas. They will want to get to know you as a couple so they can plan and build the wedding around you. You can feel comfortable in the knowledge that they are handling everything. Their advice will also be invaluable in finding you the best caterers or photographers, that are safe within your budget. You can also gain help by choosing venues that offer wedding packages. This will take away some of the pressure from having to organise additional services such as caterers, as the venue will supply it all for you. Talking about the wedding plans is obviously essential, but you also need time not to think about it. It is a very exciting time and people will constantly ask you about the details and the venue you have chosen. It’s important that you give yourself some downtime from the constant planning. Try and allocate weekends or certain evenings where talking about it is forbidden. This way you can keep some sanity and don’t feel completely swamped by it. Put down your wedding file and go out for a romantic meal or to the movies instead. The sooner you start planning your wedding, the better. 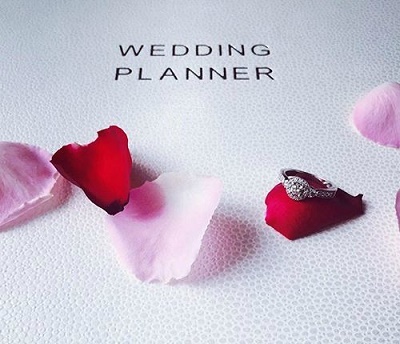 Even if you do hire a wedding planner, it’s best to get started sooner rather than later. Attention to detail is crucial during your planning process and rushing could mean you forget important details. By planning early you are more likely to get better deals on transport, venue and catering cost. Booking a date well in advance will also be beneficial to your guests. This will allow them to make the necessary arrangements with their work or home life. You don’t want to give an important role in your wedding to somebody who isn’t up to the task. You’ll find yourself even more stressed out by having to do their duties for them. Why not give each bridesmaid a responsibility you know they can fulfil. The same should also be considered with the best man. 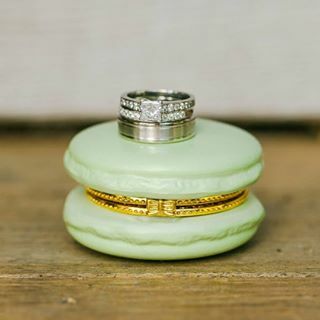 Get the groom to choose someone responsible for looking after your wedding rings. Again you can always give an individual task to each groomsmen, such as doing the speech, planning the bachelor party, etc. With these tips, you should now feel more at ease when planning your dream wedding. Don’t be afraid to ask for help. You’ll be surprised how many people will want to help you plan the big day, even if it’s just in a small way.